The active matrix feature and color pixel structures of OLED technology would enable a special design for miniature or large-screen original displays to be used for military purposes at desired sizes. 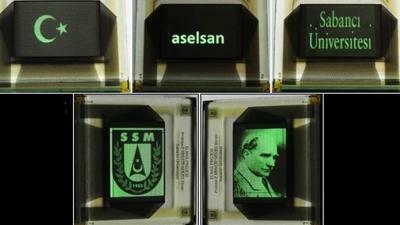 These products could also be used in thermal vision and avionic applications, according to Aselsan. The prototype was developed in cooperation with Sabanci University's Nanotechnology Research and Application Center under the "Elmas" project run by the Defense Industries Undersecretariat Presidency, Aselsan representatives stated.